Police officers in America have full authority to take your possessions without due process, even if you’re not being charged with a crime. The world’s major religions don’t agree on everything, but there is general consensus on certain core principles. Among them: thou shalt not steal. It’s a fairly straightforward concept: don’t take what’s not yours. It’s one of the first things our parents taught us as children growing up. And civilized society takes stealing seriously; we have a whole host of laws that prohibit theft and prescribe tough punishment for offenders. But here’s the catch: this fundamental principle of “thou shalt not steal” doesn’t apply to police. As it turns out, police officers have full authority to take your possessions without due process, even if you’re not being charged with a crime. Yes, you read that right. It’s a process called asset forfeiture, and police departments across the country are increasingly coming under fire for abusing it to their own ends. 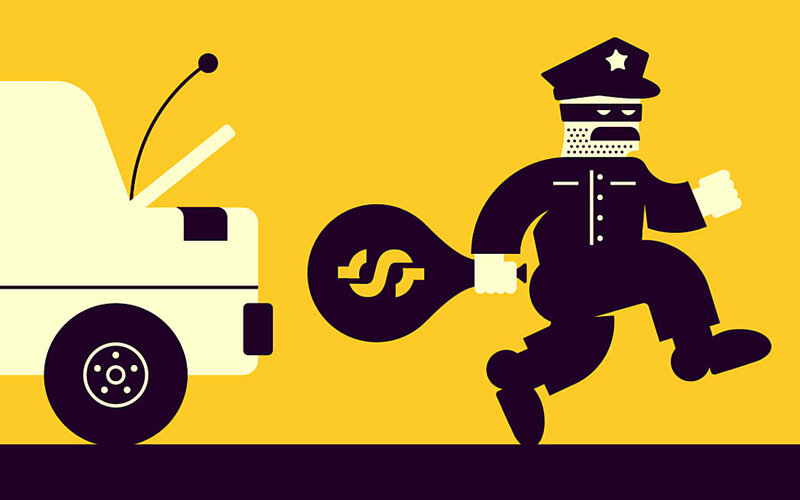 Originally used sparingly to deter criminal activity, instances of asset forfeiture have expanded greatly in recent years – leading many to call for a ban on this “legalized theft” by law enforcement. If you have a moment, check out this informative (and frightening) overview of the issue. But enough background information. What does this look like in action? So, were the officer’s actions just? According to the letter of the law, yes. But many people didn’t see it that way. Watching the video, it’s hard to suppress the feeling that what you’re witnessing is inherently wrong. Here you have a hardworking individual just trying to make a few bucks selling hotdogs to college kids. True, he didn’t have a permit to do so. Perhaps a citation was in order. But to open up his wallet and confiscate the money inside? What honorable person – let alone an officer of the law – would do such a thing? Fortunately, there is a bright spot in all of this. After the video went viral, the community came together and rallied around the hot dog vendor. A GoFundMe page set up in his name has raised an astounding $80,000 (and counting). Looks like the police officer won’t be having the last laugh, at least not in this case. The fact remains that every day countless innocent citizens are stopped by police and have legally-earned money taken from them. Because of the long and complex legal battle required to get one’s assets back, many never see their money returned, or only a fraction of the original amount after being forced to hire a lawyer. And the problem is only getting worse. 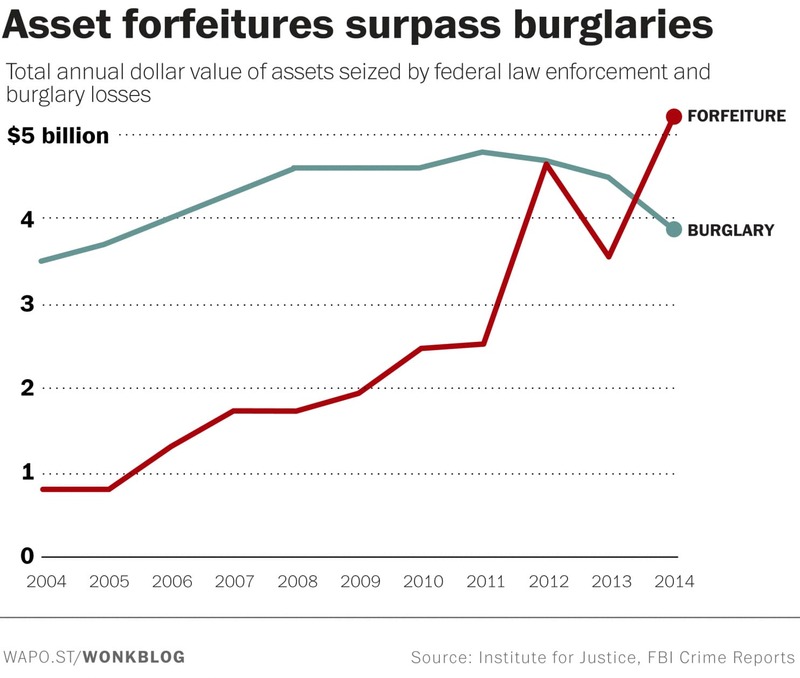 In 2014, the total amount of money confiscated by police exceeded the amount stolen in burglaries nationwide. Although civil asset forfeiture has been around for decades, the continued expansion of the practice warrants serious concern. While it may be a useful tool against organized crime, it also incentivizes police misconduct. Abuse is rampant, and it’s nearly impossible for the innocent people affected to get justice. If we want to uphold the principle of “thou shalt not steal”, then perhaps our laws should reflect that ideal. Outrageous. Innocent until convicted by a court. I’ve been complaining about this outrageous forfeiture nonsense for years. I think it began with that horrible RICO Act to “catch the Mafia”. Even then it is wrong. But after the Mob was busted all they did was “expand” the law. Oh, it was for a noble cause-drug interdiction. See, if they steal the drug dealers assets they have nothing to pay lawyers to defend themselves so Bingo! and instant conviction and they get to keep the cash, real estate, jewelry and cars. Nobody in a free society should be liable to have their property seized until and unless proven guilty of a crime in court. And that seizure should be commensurate with the crime, no more no less. Keep spreading the word, speak or write about it, speak or write to your state representative, start rallies/marches…. John – In your opinion, is there ANYTHING wrong in this country that is NOT Donald Trump’s fault? Is there any subject you aren’t versed in? Personally, I’m getting tired of your BS. Please, name one thing, which others can confirm, that trumpid (equal to stupid) has done right, or helped the lower classes? What are “lower classes?” We don’t have classes in this country, unless you mean like, ghetto, trailer-trash, meth-head. Most of those don’t want help. This is a loaded question. What is good or right to one is 180^ to another. To name something “done right” is unanswerable unless we are all on the same page as “what is desirable”. CLAY if UR TIRED SHUT UP and GO to SLEEP, FOREVER !!! DUMP the IGNORAMUS COWARD CRIMINAL TRAITOR ORANGUtRUMP, ACTUALLY LAY BESIDE YOUR MASTER, GOD is GREAT so is the US of A,……ORANGUtRUMP is MAKING MONKEYs of ALL WHO VOTED for HIM and HIS BASE WELL they ARE ALREADY in that CATEGORY !!! Also, there is no god. God as commonly knows? Maybe not exist. But if god = love, do you love your kids, wife & family? Defining what “GOD” is may be more in order that claiming “None”. When “god” is properly defined then there may be “LOVE”. When there is no “god” that kinda means there is the absence of love. I am 56, you moron, no this is not the first time I have heard of this. Just telling people to really rise up, say something, do something. Have you ever done anything other than run your mouth about something or someone you do not know? I agree that things are going backwards with trump in office. We citizens are being given the shaft, with an expansion of police powers, such as confiscation of property, and a reduction in the rights of people to equal treatment under the law. That’s ridiculous. It has nothing to do with Trump. It began under LBJ and has continued ever since, including the last 8 years. Don’t be blinded by partisanship. Where have you been for the part of your life before Trump was elected. These laws have been in place for decades before anyone ever heard of Trump. Why didn’t the liberal poster child Obama do something about it? He had eight years. Trump has nine months. They were all mesmerized during the Obama years, having been bewitched by the doting idiots who just LOVED him and Michelle, and reveling in that Michelle was jet-setting around the world with a big entourage in tow like a rock-star, and hating on America the whole time. So, they just were in Nirvana during Obama’s eight years. Blaming the POTUS for laws that have been on the books for years doesn’t make you right. In fact it proves your left ignorant and stupid. This is an automatic and unintended consequence of big government, even though it happens on a local level. The locals learned it by copying the FBI. This is like the modern interpretation of Imminent Domain, where they can condemn your property so they can put in a Walmart or strip mall and get more tax money. Totally unjust and unjustifiable. The Constitution and Bill of Rights (which was written to LIMIT GOVERNMENT, not rights of citizens) actually prohibits this in the section on search and seizure. The only reason any local or state government within the U.S. gets away with it, is because of crooked officials in the first place. Unfortunately, Eminent Domain has been expanded. Now, it is not only for “public good,” such as roads, but for PRIVATE GAIN, such as the businesses to which you refer–and often, these businesses are given incentives, breaks, and do NOT pay taxes!!! Don’t forget that when a cop takes your money, they are NOT doing it legally– they are NOT turning it into the police department– but they are keeping it for themselves, individually, which is ILLEGAL. I understand that. Our constitutional protections against unreasonable search and seizure are basically non-existent any more. You know, when the gay marriage thing was making so much news, everybody kept harping on “equal protection under the law”. Well, that’s all BS. Police carry weapons, and have access to body armor and a LOT of weapons which we citizens cannot legally possess. They also break the speed limit, mount different items on their dashboards, and commit crimes and violence and are very seldom prosecuted. Also, if a police officer says someone did something, the judges automatically believe the police officer. Politicians are entitled to protective details. I’m not entitled to a protective detail. I think people who take an oath in order to have a job in public service should be shot if convicted of violating that oath, but that’s just me. I think if you do away with most corruption at the government level, it will trickle down and do away with most crime on every level. This is outrageous! 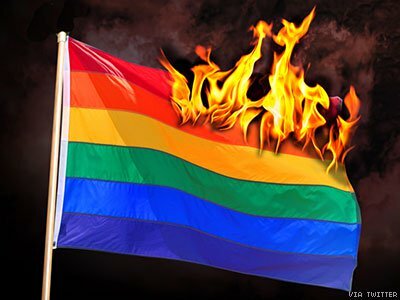 We need to talk to our Congressional Representatives and Senators and ask them to sponsor a bill in Congress banning this. It should never have become a law and we need to get it removed from our statutes nationwide. Yes, Americans should be outraged at this clear injustice. Just stand your ground and be right. If everyone would do that then the evil people would see it wouldn’t be worth the fight. But everyone had to do it. The majority still rules here in America. No matter what anyone says. I don’t think you’re right. POWER rules in America. Those with power (Financial, Political, Judicial, Law Enforcement…) RULE. The rest of us have no ability to be heard. I think James is saying if large numbers of us oppose power intelligently, we will HAVE power. Government ~ intelligence? Do I detect an oxymoron here? Excellent understanding Mr. Tom. I wrote a post before reading yours and only wish to add here, the vendor was wrong for conducting business without a legal permit. Thus the authorities were well within their jurisdiction to confiscate property. The property? It was selective property & not the property used in conducting the business. The $$$, made form the bus was taken. If one wants to go the route of seizure, it was the cart’s contents that should have been taken, not the $$$ being the main focus at the officers discretion. Nobody’s perfect, but good is good. Don’t drag down the ULC with you. Likewise, police do good work and there are individuals who do not. This article was a good way to get the discussion rolling in a reasonable forum. I’m glad your response was reasonable, the whole point of the article was to bring a possible problem to light and you did ask for more study. Reasonable request on a subject that evoked hate speach and hot emotions. Someone is waging the dog here. In some cases, focusing on the snowflake that started the avalanche can be of purpose. Postings a comment & they fail to appear? This is the age of Ele communications. (Baring slander, personal info or vulgar, abusive entries). Assuming censorship Just because you are innocent (know you posted) has no bearing on them being guilty of deleting. Maybe it failed to properly post, got dropped. Most of the time it will read “entry deleted or removed”. I scanned the loooooooooooooo chat. Unable to locate any removal notices relatively close to the claim of censorship. 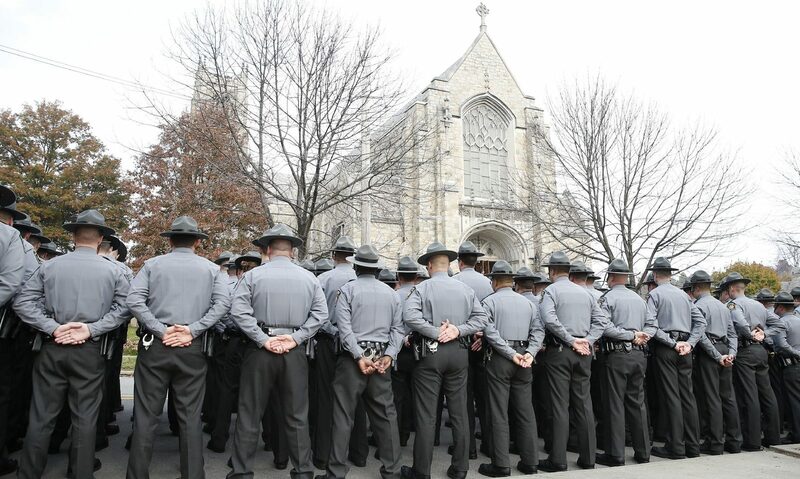 Since the officers don’t personally keep the money, and since the asset forfeiture laws are part of their sworn duty, I don’t think the correct word is “steal.” the ten commandments don’t say, “Thou shalt not legislate unfair forfeiture laws.” That said, these laws should be amended so that only the ill-gotten gains of criminals are confiscated and the procedures for innocent persons to get their possessions or money back should be free and quick. It is the responsibility of the voters to make their will known to their representatives so that the legislatures on the state and federal levels correct this problem. On the other hand, having been involved in the criminal justice system for over 40 years, I can tell you that law enforcement officers do often steal from people they arrest, usually drug dealers and usually smaller amounts, whatever cash is in their wallets. That IS sealing. 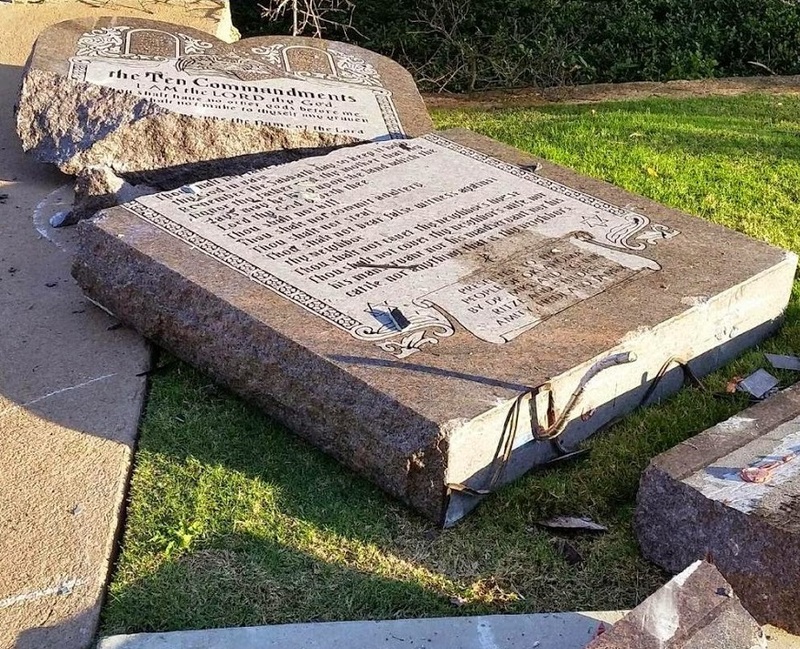 The ten commandments don’t say, “You shall not steal form good, law abiding citizens.” It simply says not to steal, period. In the case of crooked cops, even more harm is done, because respect for the law in diminished in lower socioeconomic communities. @ Nancy?… Passing laws to permit & create “legal” loop-holes to perform said act of “stealing” is the same as stealing. Crooked or legit enforcers, the act of cherry picking the choice of seizure of $$$ over the product being sold can be viewed as biased. There are copious illogical laws on the books in the USA. IE: It is illegal (in many jurisdiction) to drive a red vehicle on the public ROW. Shall we keep that 1930’s law on the book & enforce it by emptying ppls wallets when issuing citations? As with most things, the devil is in the details. I think that clearly anyone cited for, or charged with, a civil violation should not be subject to seizure or forfeiture of property. However, someone arrested for or charged with a felony should at least be subject to a court directed seizure or freezing of assets pending adjudication of the charges. As in most search and seizure issues, the courts should be issuing the directives under well established judicial precedent. As a religious man are you willing to convict all people of one race, creed, belief or even career choice based one one persons actions. Don’t be a hipocrit and blame all police because of the actions of one. Don’t blame all black, white, hispanic, asian, middle eastern or any other ethnicity because of the actions of one. If you want racism and profiling to stop you have to start with yourself. Peace does not occur by hating. Furthermore I am disappointed in this website. It seems to be one sided and overly opinionated. Articles made public should include all the facts from both sides so that readers can make an intelligent decision. Although in this day and age of media that is rarely done since news and media is now just another cheap uneducational realty show. We’re trying to rectify that, Todd. One side was trying to silence the other side by calling them trolls and ignorant and all that, but we kept talking and reasoning and now have more who are willing to speak. You just have to try to present with reasoning and reasonableness. Don’t let the bad guys or morons win. Censorship exists EVERYWHERE. I was banned from riding the bus SIMPLY for expressing my opinion to ignorant liberals who wouldn’t listen to me. I will not be silenced for my beliefs ANY LONGER. HEY MOLE MAN maybe you were to FULL of SHYTE to RIDE the BUS AFTER DIGGING ALL those HOLES U MOLES DIG…. DUMP the ORANGUtRUMP !!! Pretty strong evidence that liberals are the real fascists, and for all their lies about diversity, they cannot STAND diversity of opinion. That’s why I call them Daleks, after the robots in Dr. Who. They all think the same, talk the same because they are all programmed from the same source. Simple? Freedom of expression is great. We are on-board there. There is a time & place to discuss the politics of any topic. But (IMHO). Public transportation (or similar) is not a place to debate known hot / sensitive topics where the participants are unknown and may get “hot” over an-others simplest words of wisdom. Freedom of expression is also the freedom to know when to take the high road & cast ones pearls wisely on ears worthy of hearing. BEEN TELLING U THAT FOREVER JOHN OWENS, HELLO !!! DUMP the ORANGUtRUMP !!! What people don’t seem to understand is that The confiscated money was made by an illegal hot dog stand in this case. Illegal stand because he did NOT have a food vending permit. Food vendors need a permit to make sure they are preparing the food they are selling properly so no one gets sick. If they would’ve only given an illegal stand a citation for, let’s say $100, and not confiscate his cash and he makes $800 selling hot dogs from an illegal stand he still pulls in a $700 profit where other stands have to follow the rules. It all boils down to legal and illegal, which people just don’t seem to understand now days. HEY ALTON YOU MUST HAVE GRADUATED the HARVARD LAW SCHOOL of THIEVES, DUMP the ORANGUtRUMP. Confiscate the tools used in the illegal activity. The wallet is off limits. Selling drugs? I’d say take the $$$ AND the drugs. The $$ in his wallet may have been his SSI – SSA check. PS: Hotdogs are a legal commodity. He was only guilty of performing the action of “collecting $$$”. @ Alton… The action was illegal, the product was legal. A civil infraction is different than a criminal act. Paying the fine at the time the ticket is issues is a no, no. IE: Hey… officer, here is $100 to take care of the citation / ticket now… Can we consider it “paid” & tear up the “paperwork” now? @ Alton…. Yes, he needed a permit. But, performing (selective) asset forfeiture B4 found guilty is unacceptable. For personal or government use is waging the dog in this case. I operate a business in a city. A city that states it is Illegal to operate this type of business (industry) with in the city limit. Without knowing the details I’m sure copious ppl can assUme the gov is right. Neither of us make it in front of a judge. It is now illegal for me to pull a permit to operate but I was given a green light to continue. That was 5 years ago. The city broke the law in passing the law & I’m now left alone. I paid NO fees & had NO forfeitures B4 the our of court findings Broke the law or not. In this case, forfeiture is over the top. PS: Give the hotdogs away free with a (Love offering) / donation limit of $5. Correct. The fine line here is the vendors guilt. No permit = illegal vending. Not sure if the police could have taken all his property for this kind of infraction, but the money certainly was legal. Good logic and much truth. Moving on, amazing reading followup posts how many spins people threw up. Getting tired reading the same foolish comments. As stated B4, what if the $$ in his wallet was his SSA funds & he made no $$ that day? I believe the food (or cart) should have been confiscated to prevent more sales if they were truly looking out for the “public safety”. If he was robbing a bank? 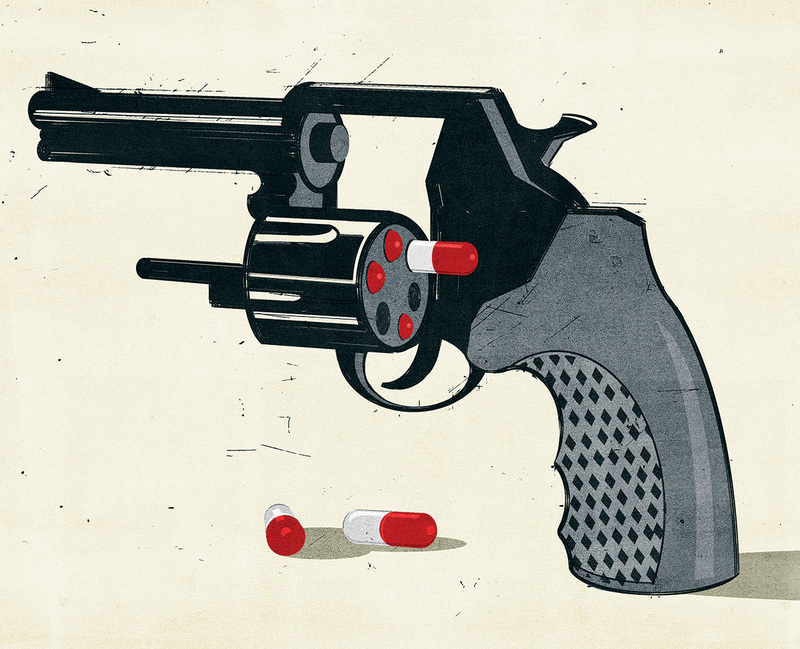 do you get rid of bank, or the $$ or do you take the gun from the criminal? The tool of the trade is the gun / food. Not the $$? The policeman is not stealing the money for his own personal use. Forfeiture is a policy in many states, that was originally aimed at drug cartels. I’m a due process, 4th Amendment supporter, but states with the power to take property without cause, aren’t going to give up that right until it is painful. I don’t believe anyone should forfeit anything until they are convicted in a court of law. Fines, in many cases, are more effective than forfeiture. Write a ticket? takes his $$$. I would have said “thats my SSI $$$ you are taking”. Even collection agencies are bared from taking certain government issued finds. The lesson to be learned here is to keep a little money in your wallet and hide the rest in your sock! Carter, Bush, Obama, Trump… Matters not who is in power.. these corp & government actions have been done for decades. Some more, some less. But a majority of this is not new. Hide in sock? Correct… Why take the $$ & not the cart. Making him pay the fine B4 convicted is over the top. They know it might cost him more to fight to get it back than was taken. Unfortunately not only legal but correct. To operate his kiosk the vendor needs a permit. As the video clearly shows he was doing business and although not shown, he doesn’t seem to have a permit. Guilty without question. As for the money, it seems unfair however it was obtained illegally by the vendor. It is also considered evidence should he go to court. Hotdogs seem trivial, but imagine if this were a drug dealer, 50 kilo of heroin, $500K cash. Would anyone object when the police confiscate everything? The key point here is the vendor was wrong. Moving on, I am quite surprised ULC published this article under the tag line, ” Thou Shalt Not Steal… Unless You’re a Cop. ” Very misleading. I assumed an officer took money from a innocent(legal) vendor. Along the lines of cops planting drugs or guns on a suspect(!). Fake news. Assuming the $$$ in his wallet was from hotdog sales? What if he made no sales that day & the $$ were from his SSA check. Possessing 1/2 mil & coke in distribution form, thats obvious drug $$. No SSA ck is that big, carrying around that much is a sign of it being connected. If someone has a few Ben Franklins in their pocket & is selling hotdogs, there is no clear evidence it was hotdog $$$. If gov was out to protect the public, they should confiscate the hotdogs (food). Not leave it there so he can elect to continue selling. back in the 70s i worked for an alarm company in San Francisco we had keys to the majority of the businesses we had alarms in to perform service work at night to avoid inner city traffic. We also responded on alarm activations to allow the police access to the businesses to look for and apprehend the burglars. part of my job was to repair the alarm system if no entry was found. I responded on thousands of calls over the ten years i worked graveyard shift. it was common practice for police officers to take items for evidence wink wink! I remember one instance where the officers were all trying on leather jackets and threw several in the trunk of the police car we probabaly had five or six officers take coats in this case alone. It was extremely common practice for items to be stolen this way if an actual burglary had been performed since there were always other lost items to be reported to the businesses insurance company. I was once accused by a business owner of stealing a proof set of old silver dollars cast in a block of clear plastic after a service call. i was forced to take a lie detector test and when questioned about the item told the interviewer i had seen and officer pick it up and show it to a fellow officer! I was cleared of suspicion and never heard if the officer was questioned or not. but this kind of thing was common back in those days. you see as an alarm company employee your honesty and integrity are all you have if you get caught stealing you will never work in the industry again. but police officers are usually held above suspicion and of course the majority of officers are honest citizens who pout their live son the line for us everyday but there are always a few bad apples in the bunch.